Mosaik Homes is committed to the traditions of excellence in timeless architecture and construction quality. We know that the key to successfully designing and crafting today’s new home begins by listening to our client’s wants and desires. Keep updated on two of our luxurious estate home communities in the charming Kleinburg Village. 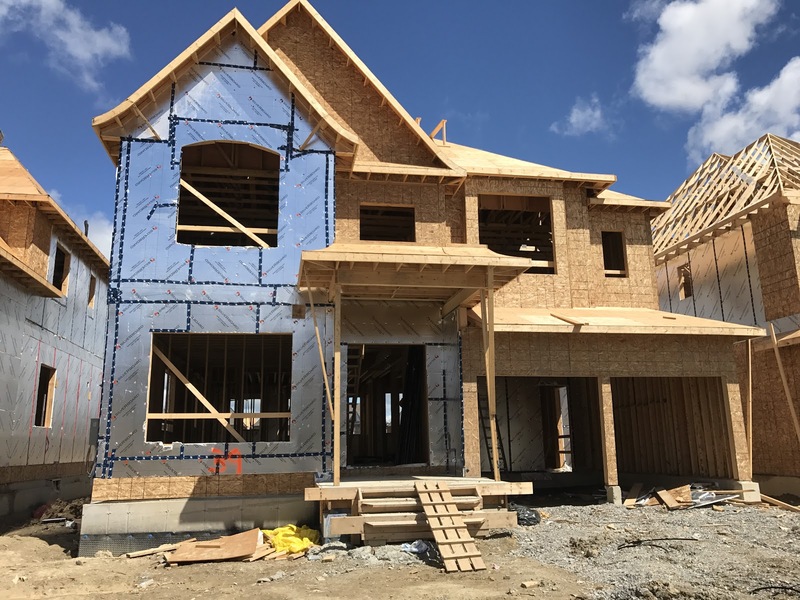 Mosaik Homes offers you this construction update on Copperwood Kleinburg & Kleinburg Crown Estates. 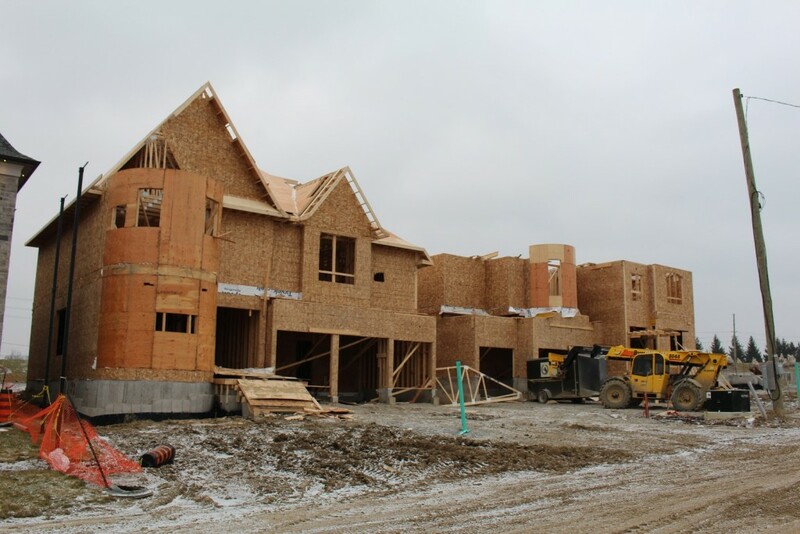 Construction started in the Fall 2016 on the 60′ estate homes of Copperwood Kleinburg. Blending exquisite residences on a limited selection of valley view lots on vista cul-de-sacs. This community’s unparalleled location is set along prized conservation lands, where you can take in the view & enjoy the fresh air with luscious protected green space surrounding your dream home. Get energized, exploring forest trails, parks and superb streetscapes, culminating in vista cul-de-sacs with uninterrupted views. If the fairway piques your interest, Copper Creek Golf is just next door, offering an extremely private golf experience. Copperwood’s residences offer a classic air where architectural gravitas, and interior sophistication seamlessly co-exist. Stained oak stairs, black metal standard pickets with oak colonial handrails exude grandeur. Cathedral & vaulted ceilings, coffered & detailed ceilings (as per plan) give an elegant atmosphere. Copperwood’s beautiful bathrooms include porcelain sinks with mechanical pop up drains and chrome framed glass shower enclosures. The spectacular kitchens of these estate homes feature custom quality kitchen cabinetry with colour coordinated kick plates, and granite kitchen countertops, among many other stunning design details. Phase II of Copperwood Kleinburg will see 34 exquisitely crafted new estate homes being constructed. One model home has been completed along with 5 homes framed and windows and doors installed. The HVAC rough-in is complete on these 5 homes, along with plumbing rough-in, and the electrical rough-in started. Currently these homes are awaiting for the bricking process to begin on all five lots. 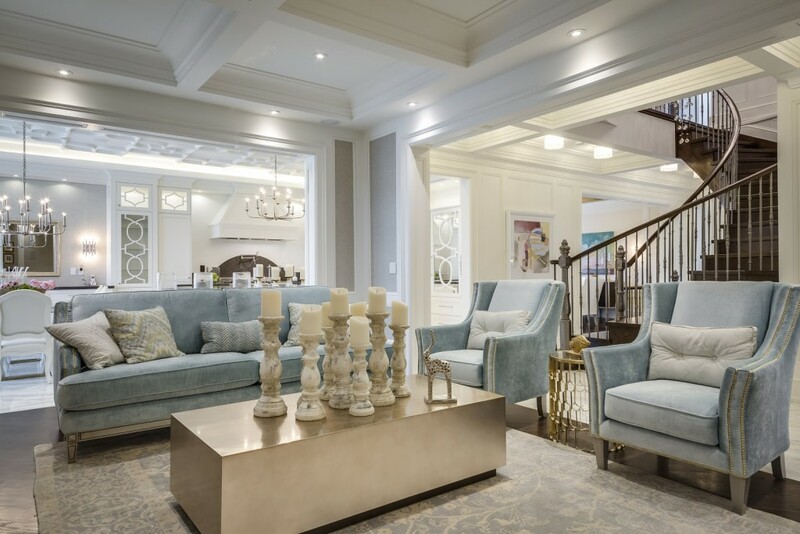 The destination of choice in Kleinburg, live at ease within the charming cul-de-sacs in a calm & family-friendly neighbourhood. 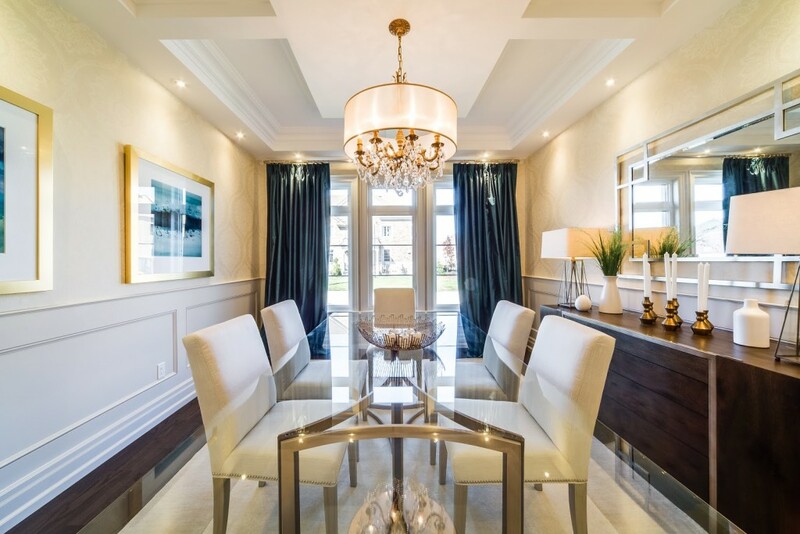 Kleinburg Crown Estates is a luxurious community nestled perfectly in the town of Kleinburg is just a short drive from the GTA. The natural beauty of the surrounding vistas is further complemented by an extensive landscaping package to give your home’s curb appeal an exquisite look. With sprawling yards, you can enjoy outdoor living at its best in a backyard large enough to accommodate a pool, hot tub, BBQ area, trampoline, jungle gym and kids just running around. There’s room enough for your family to grow indoors & out with these 26 units of estate homes from 4060-6350 square feet. Currently under construction at Major Mackenzie Drive, Vaughan. Kleinburg Crown Estates have architecturally coordinated exterior finishes, of clay brick with builder’s stone, precast detailing, stucco moldings and brick archways. Set on pleasant streetscapes these details are blended together to produce a diversified visually attractive elevation. Classic interiors feature custom quality crafted vanities in all bathrooms with plate glass mirrors. Your luxurious kitchens include granite kitchen countertops, a BLANCO double stainless steel undermount sink, hansgrohe pullout kitchen faucet. A bar sink with faucet (as per plan) along with a full pantry, island and breakfast bar as per plan make these homes amenable to both family life and entertaining. Phase III is currently underway of Mosaik Homes’ Kleinburg Crown Estates, with phases 1 & 2 complete and all homeowners moved in. The impressive construction on the finely crafted homes of Phase 3 started April 18th, 2017. At this stage, four foundations have been poured, and framing has started on all four of these homes, with 23 homes remaining to be built with 2018 set as the closing date.